An allegedly “OLF” official press release supporting the news was made available by the website. Again, an allegedly “OLF” official press release supporting the news was made available by the website . Ironically, the news about the removal of General Kemal Gelchu was exclusively announced by the same website. 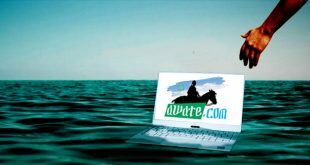 The few Ethiopian websites that followed suit only provided links to PDF attachments of the conflicting press releases, unlike the Eritrean ruling party’s (PFDJ) affiliated website that was the only source that announced and denied the news. To be fair to the website though, it is difficult for anyone to properly monitor the shifting and changing line of communication between the Eritrean government and the Ethiopian factions, and conflicting news might have reached the website. The contacts are handled through two parallel channels: the presidential office and the national security agency. Both conduct their communications through senior military officers who are repeatedly rotated. However, observers of the actions of the Eritrean government know that only Isaias Afwerki has the final say on who leads any organization that he hosts in Eritrea. It is also common knowledge that he only imposes leaders with military background, and that is why General Kemal Gelchu is safe, for the time being. In 2007 Isaias Afwerki hosted hundreds of Somalis in Asmara to launch the Alliance for the Re-liberation of Somalia (ARS) and tried to dictate his terms on it. Some of the Somalis were not pleased, in fact they felt insulted. Soon, between May 31 and June 9, 2008, president Ismail Omar Guelleh of Djibouti hosted a similar ARS conference in Djibouti. That incident enraged Isaias Afwerki because he felt the ARS preferred Guelleh’s patronage over his. In not time the Djiboutian success in snatching the Somali portfolio from the hands of Isaias Afwerki became one of the many reasons for the tension between Eritrea and Djibouti; it led to the June 10-13, 2008 border clash between the two countries. In early 2009 the ARS was dissolved after most of it members joined the Transitional Federal Government of Somalia, which resulted in Isaias going full throttle to support AlShabab. Over six years later and several years of Qatari mediation followed by the UN intervention, the border and its related issues between Eritrea and Djibouti have not been resolved yet. While tens of thousands of Eritreans are overtly and covertly denied the right to return to their country, even denied the right to be buried in it, for the last two decades Isaias Afwerki has been hosting thousands of foreign opposition members from Sudan, South Sudan, Ethiopia, Djibouti, and Somalia. 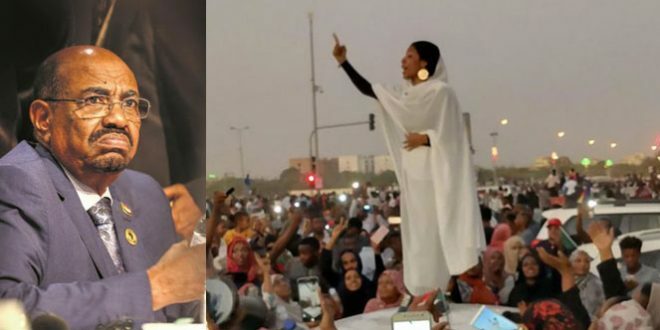 Using the opposition he hosts as a proxy, Isaias succeeded in turning Eastern Sudan into a client state, miserably failed in Somalia, and is helplessly trying to meddle in the affairs of South Sudan. But finally his main focus has shifted to the Ethiopian opposition. A number of factions opposed to the Ethiopian government, including a faction of the OLF, Gunbot 7 and Tigray People’s Democratic Movement (TPDM) are roaming the towns and villages of Eritrea while their leaders live in public villas in Asmara and other towns. At this moment, OLF and Gunbot 7 are almost inconsequential. TPDM is the favorite Ethiopian organization of the Eritrean ruling party; it is a well armed and financed group with tens of thousands of troops under its command. The task of searching and arresting Eritrean conscripts who are AWOL is often outsourced to TPDM. Oromo Liberation Front (OLF) was established in 1973 but since then went through a lot of development. Today it is represented by at least three factions, one of them stationed in Asmara, Eritrea. 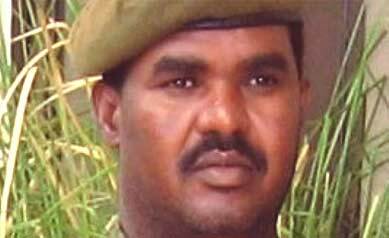 In 2006, General Kemal Gelchu of the Ethiopian army defected to Eritrea accompanied by about 150 armed soldiers. Today he leads one faction of the OLF which is stationed in Eritrea. Gunbot 7 was formed when an older organization known as KINIJT was split and fractured over differences of views and political program elements between its few members. In the 2005 Ethiopian election Berhanu Negga was deputy chairman of the Coalition for Unity and Democracy (CUD) which is commonly known by its Amharic appellation, Kinijit, and became the mayor of Addis Ababa. Later on Berhanu Negga went to the USA and in May 2008 together with his colleagues founded Ginbot 7. Gunbot 7 was named after the Geez calendar date of the 2005 Ethiopian election which was marred by violence jointly instigated by the European parliamentarian Anna Gomez, and exiled opposition members mainly residing in the USA. But soon the CUD coalition split into 2 and Berhanu Negga’s faction decided to bond with the Eritrean ruling party led by Isaias Afwerki, the archenemy of the Ethiopian ruling party. 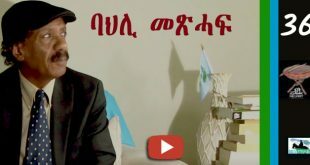 Contacts between the Eritrean ruling party and Berhanu Negga’s Gunbot 7 was allegedly facilitated by another Gunbot 7 member, Muluneh Eyoel Yohannes, through Biniam Berhe, Muluneh Eyoel’s old classmate who is currently the deputy Eritrean ambassador to the African Union residing in Addis Ababa. Soon Gunbot 7 established a base in Eritrea and at one time it had a considerable number of armed members. In recent years however, its membership has dwindled due defections. And to make matters worse for Gunbot 7, last June its Secretary General, Andargachew Tsege was arrested at Sana’a airport while in transit flying from Dubai to Eritrea and the Yemeni authorities handed him over to Ethiopia. Andargachew Tsige is a dual citizen of the UK and Ethiopia but given the way he idolized Isaias Afwerki, he might have been given an Eritrean citizenship as well. 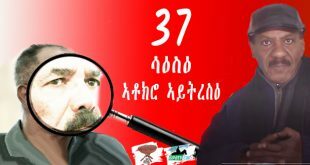 Speculations about the whereabouts of Ethiopian opposition elements living in Eritrea similar to General Kemal Gelchu is almost a daily staple of a handful of Ethiopian discussion forums and the recent news are feeding the rumor mill. Early this year, a few known leaders of the original OLF, including Lencho Letta have denounced armed struggle and returned to Ethiopia to work within the constitutional framework of multi-party politics. 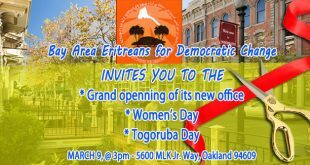 Other Oromo groups opposed to the Ethiopian government still remain in the West, mainly in the USA. situation continue its own course or exacerbated at some point, then, the consequence could be of a grim nature. It’s only a matter of time before the whole thing unravels. I would rather prefer you to say the least most, as usual, when it comes to Oromo’s issues. For one thing: to avoid the pitiful of the above quoted statement, besides, it seems to me, you also casted your lot with this regime somehow. it’s also instructive NOT to stir-up the boat, so to speak, for you’re “ banking” on the current regime to “liberate” you and consider them as your “saviors,” from what, you know – the quagmire you find yourself in! Do you guys have an app or a Twitter page for Awate? Thanks. I am delighted by the events in Burki Nafaso (BN). So far very minimum life lost and hopefully it will stay that way. Also, hopefully EriTv will cover the news (wink wink). But it is funny, their dictator sought to hold onto power even after the current legal term is expired. However he was told by the good people of BN that not only won’t he be running ever again, he won’t be allowed to even finish what he has. The dictator withdrew his plans of power abuse and is begging to stay on for a year, just one year. It doesn’t look like he will get that either. I am also not hating the attacks on the MPs, most likely they were preparing to vote in favor of the dictator and against the constitution, welcome to Africa. They’ve gotten their lesson. Africa has gotten a good lesson. I hope our neighbors, the Sudanese, are taking note. Few days ago, their dictator broke his words that he won’t seek re-election. He is saying now he had planned to step down, but his party just won’t allow him to. BS!! Obviously, I hope we, the Eritrean people, are taking note too. – Popular uprising succeeded in Burkina Faso. – The army has called for transitional government to be set up with EVERYONE included. This has been a classic textbook uprising, the people were not paralyzed by useless “what if” analysis. Short, sharp and effective. You see, the people still have their country and will be able to govern it. A big lesson to us I dare say. dawit has brought us a news clip from Burkina Faso, the home of the AOU peace plan in the Ethio-Eritrea conflict, to inspire us. In fact, that is a good pick. That is the sort of people power we aspire to have in a popular uprising in Eritrea, minus the unnecessary damage to buildings if it can be avoided. Imagine any Burkina Faso leader trying to lord it again. Once the people find their way back to their ownership of their destiny, it is a whole lot different ball game. dawit actually saw something wrong with it. I suspect it is the arson that took place. Remember that ERiTV had been tampering with people’s normal thought process by continually broadcasting content with mind control being the key objective. I would like to share something else with dawit that I hope would inspire him to stand up and defend what is morally right. It happened in Canada close by Semere Andom’s neck of the woods. People faced with moral judgement and reacting in what they believe is right thing to do. People having the courage to stand and fight for justice to their fellow man. If this people can do that to a stranger, a definite other and at a circumstantial disadvantaged, why does people like dawit call desperate Eritrean refugee children a mere “fabrication”. 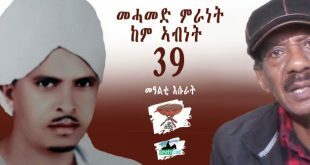 What worse can happen to Eritrea and Eritreans for people like dawit to stand for moral righteousness than in servitude of a system that has been hopelessly out foxed all around and have no chance of surmounting the odds. Meanwhile, Aboy Sebhat has spoken. After reading this and hearing that some ‘Idrisay’ and some ‘wedi Temesgen’ and the likes in Asmara brandish their guns in bars and use cars without plates to pick anyone they want and put them in the new underground prison called ‘bidho’ in the suburbs of Asmara, I can not help feeling like we are back in the mid 1970 when the ‘Afan’ were the predators in the streets. These Ethiopian Allies of PFDJ will fight tooth and nail to keep the regime in Eritrea in power because no other neighbouring country will host them. In other words they will protect the dictator for their own sake. So we could be in a more complicated situation than we may think. With these man-eaters there, we might end up needing armed wing to purge the dictator. Can civil disobedience happen without bloodshed in Eritrea? This is where ‘change should come from within’ gets tricky. By the way, what are our generals doing? We do have some, don’t we? I am not able to write it in a way that I can send it to awate for publication, but here I am sharing my min reseach worked news. I hope you will go further to broaden it. In this report, I found some surprising relationships between The South African Ambassador and PFDJ friendship. Senay nibab. Whenever one mentions South Africa, “the Apartheid system” and “Nelson Mandela” are a universal flash to everyone. The first being a racial taboo imposed by the whites and the later a man who fought to end the system. These two extremes converged at one once the Apartheid system was abolished and Mandela triumphed after his long quest to complete South African emancipation. Since then, South Africa became the hub of tolerance and human dignity. I am not here today to talk about South Africa or the system that had ruined the rights but about its current diplomatic mission in Eritrea through here ambassador, Professor Iqbal Jhazbhay. The diplomatic mission is built on purely exploitative and mutual benefits of the involved party. Neither the people nor country has benefit at this time but purely business oriented, exploitative and camouflaged friendships. exhaustion. According to the report, Professor Iqbal Jhazbhay explained to the participants the festival will enhance the political, economic, cultural, as well as diplomatic relations between the two countries. Who is Professor Iqbal Jhazbhay and why they are using him as a lobbyist? Why Ambassador Tesfamichael Gerahtu is there? Is the relationship between these two ambassadors rooted back to early 2000s when the Eritrean Ambassador known for his antagonistic approach was there to dismantle the Eritrean student movement in South Africa? According to the news report, an official diplomatic relationship was launched in 2004, three years after the university student movements. To look into the bibliography of Professor Iqbal Jhazbhay, in his linkdin profile, the following information is written. “Iqbal Jhazbhay is South Africa’s Ambassador to the State of Eritrea. Formerly Professor at the University of South Africa and the previous Director of the Unisa Centre for Arabic and Islamic Studies. He holds a PhD in International Relations from the University of Witwatersrand in Johannesburg, South Africa and, studied Arabic and Islamic sciences in Cairo, Riyadh, Manchester and Johannesburg. His research interests include Islam in Somaliland and Somalia, South African Islam, Sufism, Political Islam, South African foreign policy towards North Africa and the Middle East, international relations and Islam. of Oriental and African Studies. He has authored the book, ”Somaliland: An African struggle for nationhood and international recognition”, some twenty-two academic articles and chapters on Islamic thought, Somaliland and South African foreign policy. Well, here we get some traces of this good Ambassador to be a good fortune for PFDJ cover-up. The professor known for his academic studies related with Somalia and PFDJ’s link and involvement in the Somalia’s affairs, no one can be worth enough to be a firsthand good friend I the evil diplomatic relationships. different especially by looking into the biography of the Ambassador and the ruling Junta. Ambassador Tesfamichael is good in this kind of diplomatic friendships and indeed his mission to South Africa is still on ground. In an interview done with Somaliland Times on January 16, 2004, the website has also recorded Professor Iqbal D. Jhazbhay’s background as, “A director of Johannesburg-based Institute of Global Dialogue and is also convener of the Middle East study group at the South African Institute of International Affairs.” This shows that the professor’s presence in Eritrea is beyond his official diplomatic mission. but the presence of this ambassador in Eritrea is something that has to be investigated further. Professor Iqbal D. Jhazbhay is also the only foreign diplomat attended as important guest at the 40th anniversary Bologna festival. He delivered a speech in support of the PFDJ government. Recently, together with other 20 plus ambassadors had a dinner in Asmara in which Saleh Johar wrote a satire about the occasion at awate.com. I was watching today part of it in Er-Tv. I was also wondering what is going on. and at the same time I was remembering the article of Saleh. PFDJ is trying some other way after failing all the tactics they tried. any diplomatic figure invited will accept the dinners and parties. if you notice this was a party for the first time after 10 years of diplomatic relation with south Africa. by asking why now, you will see how much PFDJ is suffered of their own mistakes and are trying to survive. What ever they do death of PFDJ ‘s principle is already due. 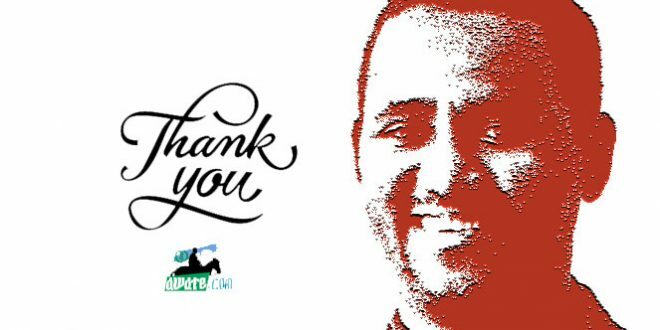 on this equation allow me to invite you one simple and short poem of how I feel about my camp, a camp that represents you and me and all justice lovers .enjoy it in Jebena after 10 minutes. it’s ironical to see all these so called ethiopian “opposition” groups in eritrea living much better than the eritreans at the expense of the eritreans, it’s consequential then they will protect iseyas far more than removing the TPLF, it’s even more convenient to them if they remain in eritrea than bringing “Democracy” to their mother land. but what I find quite odd about us, well at least some of us, is the fact we are quite ready to react if the round ups(Giffas) are done by DEMHIT.. we allow that to be done only by the EDF. Our own EDF on the other hand is quite challenged on what to do… they have being deprived of all their duties by the DEMHIT to the point every thing is on the hands of Demhit that even have priority over basics like food, but heyyy don’t touch Giffa , that EDF’s prerogative… meanwhile the regime puppets in the west are preoccupied of any random country of the world, they care about Ethiopia, Somalia, Burkina Faso … and USA for the falling civil liberties 😀 welcome to to the land of Irony. Here is a fresh news that may give special inspiration, from Burkina Faso Black Spring! I do not wish the same to happen in Eritrea but that is where exactly PFDJ is pushing the people. Indeed it will happen soon. And remember, Eritreans anger towards PFDJ will have no limit if it bursted up. You will be shamed of soon hawna dawit. Go on confessing if not you it will be too late to cope up with the newly born democratic Eritrea. By the way, follow Arbi Harinet, they have lots of things to share with you. What is coming to Eritrea is a Green Spring. Unlike Birkina Faso, who are fighting against not changing the constitution, we are just fighting for “Justice” And haha, you said “The Justice seekers Gang”, I really love it. thank you. Unlike the YPFDJ bloody gangsters, yes we are the true “Justice Seekers Gangs,” we are hunting Justice where ever it exists and we will get it by all means. Here is an attached definition of gang and when you put as a phrase, “The Justice seekers gand” all together, imagine how beautiful it is. Actually, you are fighting against your conscience. “Afka yisier alo. Lisan miliat libi tizareb” eko tebahilu eyu. Someone opined that we challenge you logic to logic, IQ to IQ. We are more than capable to do that and the opositom has done that for the last 23 years. No human being, a sane, kind humane being wishes what you described as our ‘inspiration” to happen even to enemies. But what you call our “inspirations” is the legacy of any dictator and injustice that infests a country. If this happens to us that will the begotten off spring of DIA. You insinuate that if PFDJ is removed and democracy reigns that is what will happen to Eritrea and DIA is the only one stopping this from happening. If there are people who receive pleasure from suffering and chaos it is PFDJ and it supporters like you, who are unmoved by the suffering of our people at the very hand of the so called liberators. You guys relishing your freedoms, securing your future and the future of your kids want the Eritrean people to put up with slavery and you do it with arrogance and malice not even in a charming way. From debating with you, some times to a point that matched the PFDJ style in ugliness, I honestly believe that you are capable of contributing positively to Eritrea and humanity but you chose to be the subservient of a brutal regime that is pushing your own people and their once bright posterity to extinction and at the rate your PFDJ is destroying Eritrea we may not have a country to call own once they are done with it. Your wilful ignorance is punishable in this life and in the heavens with eternal death and I urge you to wilfully and deliberately abandon PFDJ, relinquish playing an assistant angel of death to DIA. Eritreans risked the total decimation of the port city massawa in order to liberate it from Derg, do you think that was a bad decision? No one goes to get worse off than they actually are, and staying with hgdef is a sure way to get much worse off than the value of a building that can be erected again. What is important to you, saving Eritrean lives from slow death or buildings that could get damaged? I think we need to get our valuation straight. 3072 migrants, most Eritrean died at sea this year alone, how does a building compare to that? so what’s your point here ? If Iseyas is removed then the presidential palace will burn ?? or if he remains in power the people will burn the presidential palace (as in Burkina Faso’s case) ? or what ?? you PFDJ’s parrots have no shame in trying to wave someone else’s crisis as proof of good governance in PFDJ-land. you don’t want to see Burkina Faso is doing far more better than us. Eritreans are running from Eritrea in droves still you bring other crisis as proof of our own stability. IQ challenged. Why are you people gunging up on dawit? 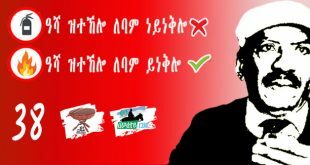 As much as you have the right to oppose the PFDJ, Dawit have the right to support and advocate the government. I can not help but to notice the hypocrisy with you people. You are not shay in bombarding in us with justice, freedom of speech and all that crab but once some one deviate from your view, you are all over that person. Have some shame! While I am here can I ask who the opposition is? You all act like you have an opposition. You don’t. and if you can debate dawit, do so but when you call him names, that means he owning you. By all standards, we can not let PFDJ minded people to gallop as they want. Here he has a chance to say what ever he wants and it is because of the liberty he is endowed with at awate. And we, we will bombard him till he gets rid of his PFDJ mantra. Are you telling us that we should leave the totalitarian regime in Asmara to say what ever he wants? poor and confused Nitricc. may God bless you before the end days of PFDJ comes. Which of the above would be reasonable thing to do so that I don’t be part of “gunging” up on him. What can I add to what you wrote above except to say Amen! 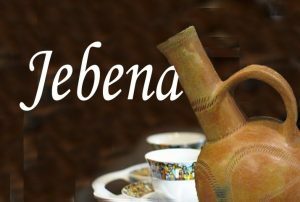 ኣንጭዋ ደገ’ስ፡ ነንጭዋ ገዛ ከተውጽእ… ዝብልዎ ከምዚ ናትካ’ዩ። ኣበየናይ እሪ በከንቱ ዓቢኻ፡ ህግደፍ ምስዝኣኻኸቦም፡ ሸባብ’ዶ ቐንዶ-መንዶ፡ መንነት ተሻሪፍካ ዝረኸብካዮ ኤርትራውነት እምበኣር፡ ንኸምዚ ከማይ፡ ብትውልድን ርስትን፡ ወደባትን ወዲ ዓበይትን ኤርትራዊ መንነቱ ክትሓትት፡ ኣደናዲኑካ? ወረ በየናይ መስኮት ዘሊልካ ዝኣተኻ ጎታን ይብሉኻ ወደይ? ኣነ ደኣ መኣስ በጣሕ ተሰቒለ፡ ቁጽርጻር ከረጺት ተሓንጊጠ ኣትየ ንኤርትራ ከምዚ ከማኻ። ተጋጊኻ፡ ምስዘይ መታሕትት’ኻ መንነት ኣይትተሓተት። ርስትን ታሪኽን እኮ’ዩ፡ ምንትፍና ድዩ መሲሉካ? Listen here to Girma Asmerom on VOA. This is indeed mind blowing. He said SEMG had been to Eritrea twice, he then says going to Eritrea has no “added value” so shouldn’t happen, and again says they have been there and found no evidence!!! OMG, have PFDJ got no more shame??? He does not have any quality/personality of a diplomat or a politician. His responses are rude and crude on top of being confusing and dodgy. What more can we expect from such weak and wicked errand-men of the dictator? What more can we expect in deed!! Mind you though, I was still theorizing as to why he would make such an a blatant mockery of his personal honor in claiming that the SEMG had [per his claim] visited Eritrea. Although, again, with the same breath dismisses the need to visit Eritrea by the same group as not warranted and lacking in “value added” significance to the UN itself. I was holding off writing about my theory because saay had promised to present analysis of the subject, but noting that saay is off to regional matters (wink wink), let me give it my two cents worth. The regime would also have another ball and chain from similar demands of visitation and investigation of everything else by the UNSC Rapporteur and and newly set up COI. And by following Girma’s barrage of accusations to them too, he has lost all sympathy in that too and pressure is raising. With the people at home disobeying militarization and the regime’s favorite trick, the giffa, giving up the ghost, I think we are going to see the end soon. This is a rather amusing article to read. What about the Eritrean opposition groups: how many are they, are they organized, who finance them, who pick a leader for them, and most importantly where are they located?? Good question, short and to the point answer. There is no regime other than PFDJ that would stake the very survival of its country’s existence to help external armed groups. PFDJ is under UNSC chapter VII sanction for regional destabilization, it forfeited Eritrea’s right to self defense by flirting with al shabab in 2008/2009 and is now exposing the nation to regional war or crippling sanctions (yet to come) for the sake of external groups. Could you tell us any opposition group who would exact that price of (even very survival of the country) in Ethiopia? It is the stupidity of PFDJ that is in question here more than anything else. you are killing me with DIA DIA PFDJ PFDJ….I thought we agreed that he is a bad **S dictator. It sounds much like Palestinians blaming Israel for every thing. the questions are very simple and straight forward. Eritrean opposition groups: how many are they, are they organized, who finance them, who pick a leader for them, and most importantly where are they located?? 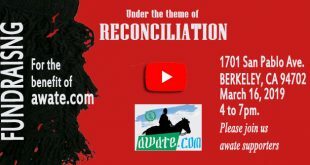 It is hard to believe you have missed the tons of articles, news and analysis that awate.com published about the Eritrean opposition. It is surprising why you would pretend you do not know that and pose such question. Just refresh your mind and you will find misfiled somewhere. A. Berhanu Nega was not the Deputy of CUD. There were two deputies, if I remember correctly. 1. Bertukan Mideqsa and 2. Lidetu Ayalewa. B. I am not sure if the word “became” (above) has the same meaning as to say “he was a mayer of Addis”. If that is so, then it is wrong. He was elected by his party to be the mayer of Addis. But meeting of the new members of the city council never been made and Berhanu has never taken the sit of the mayor even for a single day. Why would I pretend? Apparently I didn’t frame my question as if they don’t exist. Honestly, last time I checked the number of opposition groups were thirteen (13+), but that was few years ago. And as for who finance them and how do they elect their leader, I am more than happy to reread and learn if you can provide me the links to that. These armed groups whom DIA is hosting in Eritrea will never be able to affect Ethiopian politics in any way. 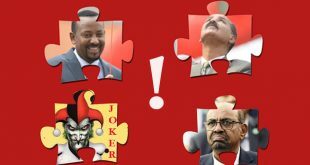 The fate of friendship of convenience between DIA and the different Ethiopian Liberation Fronts is going to end up sour. No doubt about that. in the New Eritrea. They cannot stay in Eritrea, and they cannot return to Ethiopia unless they denounce armed struggle. Therefore, they would find themselves in a difficult situation, and the only choice they have is to support DIA. Of course, this will complicate the situation in Eritrea. As much as Ethiopia is concerned, this is the age of peaceful struggle for a more robust rule of law, democratization and equal opportunities, and not that of killings, destruction and the use of arms to ascend political power. From within the country, they could struggle for free and fair elections, and they can try to bring change through the ballot box. Tell that to the people in Ogaden, Gambela, Oromia and Sothern nations of Ethiopia whose ancestoral land is confisicated and auctioned to the highest bidder, while their children are languishing in exile and refugee camps. You seem also to forget how TPLF came to power in Ethiopia,without the help of Eritreal People’s Liberation Army! I happen to fall under one of the groups you mention above and I’m here to tell you that don’t worry about us, we are in charge of our own destiny. You should learn to mind your own business, which is Eritrea. around, but land allocation, implementation and usage in the right way. At least in the early stage of Ethiopia’s development, economic development is going to depend on agriculture. Agriculture hates land that remains idle and Ethiopia is trying to avoid this. Small-scale farming and animal rearing are going to co-exist with large-scale farming. Be sure, these people are not going to end up all of them farm laborers. 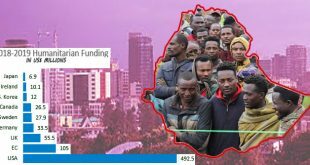 On the contrary, foreigners are going to lose their famous pictures of half-naked Ethiopians, who would stand for pictures for few dollars, and when the Whiteman goes back to his respective country he would proudly say that in Ethiopia there are still people who live a primitive way of life, and this way boast about his superiority. These Ethiopians are going to have education, health-care and flourishing communities. place in lowland Eritrea. In addition, you have yet to answer to the grievances of tens of thousands of Eritreans who are still living in refugee camps in Sudan for decades now, and cannot return to their ancestral lands. Therefore, do not blame others when you yourself is not in a better situation. As much as LFs are concerned, there are no more the right conditions for these movements to bear fruit. This is not the age of the cold war, ideologies, and the unfortunate years when Ethiopians were at each others’ throats. The Ethiopian and other opposition groups in Eritrea are very much intended for internal power politics than anything else. Eritrea doesn’t possess the expertise, logistic and facility prerequisites to effect political change in Ethiopia or elsewhere. The regime of IA wants to give the impression that on one hand it has teeth to the populace and on the other cast doubt and apprehension in the minds of Eritreans that if they overthrow him these groups would defend him and thus be a chaos after his downfall. Realistically, the groups themselves would be out of their depth to so much as attempt to engage the Eritrean masses once they rise up. They would have no supply line, no back up and immense numbers of territories to cover. Unthinkable. They would disperse and quickly exit the country the instant IA is overthrown. As to IA’s first bluff that I mentioned (that it has teeth), it badly backfired when Ethiopia entered and exited deep into Eritrean territory in “hot pursuit” of such armed elements in March 2012 (with much fanfare). It humiliated IA and of course, Eritrea as a nation. Hence, there armed groups are there for his cheap ploy and neither them nor IA can realistically attain their stated goals. Here is breaking news the EDF has participated in “wefera” helping the families of martyrs in crop harvesting. Apparently this a break through as if Eritreans have not been participating in communal work like “wofera” to help a needy family from time immemorial even with the youth fully functioning in the society. But what is news PFDJ likes to reinvent the wheel, instead of releasing those enslaving them, they are claiming that these people are doing the noble work while most likely they are harvesting the crops for a general.